A selection of the best vegan chocolate and dairy free chocolate. 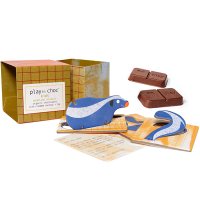 Zero Zebra offers a range of chocolate treats specially developed for those who suffer from food allergies. Zero Zebra’s delicious chocolate shapes are free from all 14 allergens recognised in the European Union. No milk, soy egg, peanuts or gluten are used in any of the Zero Zebra recipes and every batch is tested by an independent laboratory for traces of allergens. They are also gluten free, vegan, Fairtrade and organic certified. Although we take every reasonable precaution to ensure that product information is accurate, we are reliant on information from the manufacturers and suppliers. Ingredients and place of manufacture can change; and products may be manufactured or stored in an environment where allergens are present. You must check all packaging and labels carefully on each occasion before consuming/using the products to ensure they are free from the allergens you are avoiding. Some products may not be suitable for people with severe allergies or anaphylaxis.